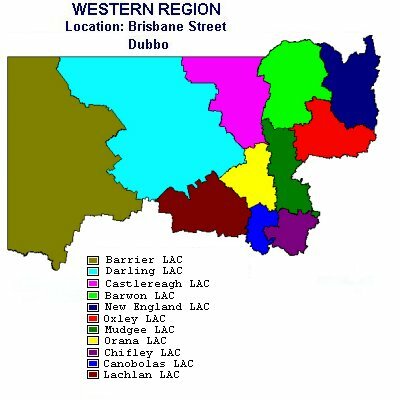 Western Region is based at Dubbo. It extends from Barrier in the west, along the state’s northern border to Barwon and New England in the north, down through Oxley and Mudgee to Chifley, Canobolas and Lachlan. Listed below are the 11 Local Area Commands (LAC), that are in the Western Region. On the ‘left’ of each LAC is a link to every police station within that Local Area Command.